Published on 7 April 2012. Today’s photo shows some boats moored on the Norfolk Broads near Wroxham, and some houses nearby. I’m carefully trying to avoid the killer shrimp while I’m here, of course! 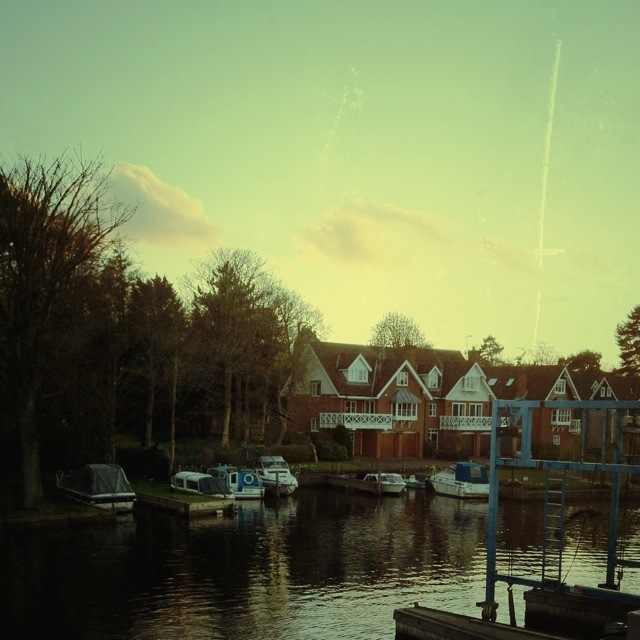 This 1,595th post was filed under: Photo-a-day 2012, Norfolk Broads, Wroxham.